The Gardens and Castle at Kromeríz are a Baroque aristocratic ensemble of residence and pleasure garden. 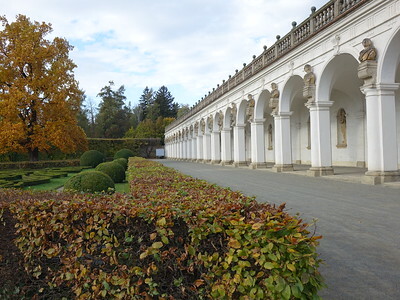 The Pleasure Garden is a rare and complete example of a Baroque garden. It was the creative design of Filiberto Lucchese and the execution of his design by Giovanni Pietro Tencalla. Count Karel Liechtenstein-Castelcorn acted as their patron, renovating the palace in a Baroque style in 1664. 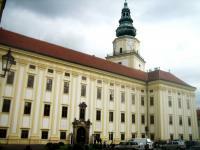 The castle used to be the principal residence of the bishops and (since 1777) archbishops of Olomouc. It houses a splendid art collection, with works by Dutch, Flemish, and Italian masters, many of them acquired by Bishop Karel in 1673. The Kromeríz musical archive is outstanding too, as is the Library. During my ‘Czech 3 castle WHS weekend’ I stayed overnight in Kromeriz. It lies about half-way between Litomysl and Lednice/Valtice, and probably is the nicest of these towns. The hotel La Fresca and its restaurant are warmly recommended anyway. Its menu was only written in the Czech language, probably a sign that not too many foreign tourists stay for the evening and night. 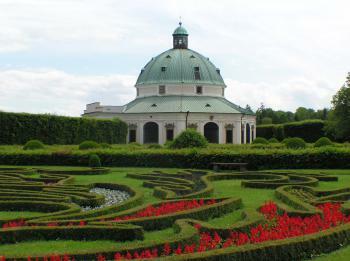 My reason for being here of course was the Gardens and Castle in Kroměříž, which have played an important role in the development of the baroque palace and garden design in Central Europe. The WHS consists of 2 locations: the Castle and its garden (1) and the Pleasure Garden (a.k.a. Flower Garden) (2). Both are walkable from the city square. The locations are well-signposted and even connected to each other via a route with partial WH logo’s incorporated in the pavement at frequent intervals. I knew beforehand that the castle probably wouldn’t be worth entering (although it houses “a splendid art collection”), so I just focused on both gardens during my 1.5 hour visit on an early Sunday morning. The garden at the castle opens its gates already at 7 o'clock. So after breakfast I first went to have a look at that one. It is a landscape park in English style - so 'just' a park that you see in so many places in Europe. It has hiking paths, benches, ponds, a bridge. There are also peacocks and a kind of petting zoo. I encountered a black rabbit on one of the paths that had probably escaped from it. Entrance is free here. It is nice enough for a stroll, especially with the autumn colours setting in. The Pleasure Garden lies some 15 minutes away, on the other side of the square in a residential neighbourhood. 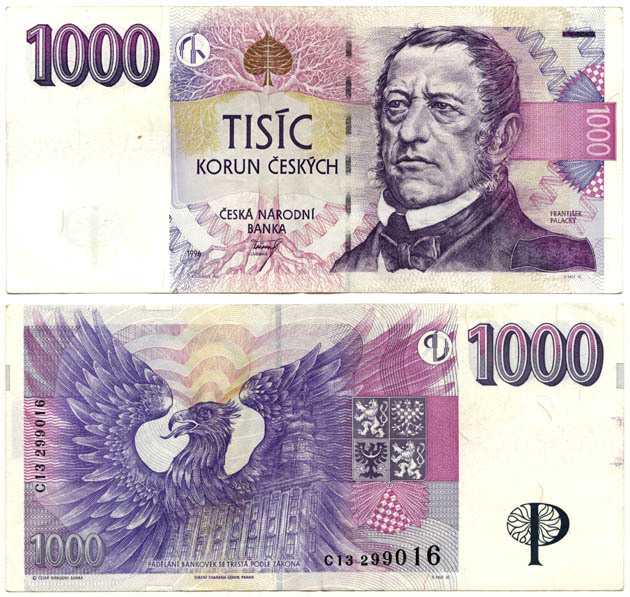 It opens at 9 am and a 80 CZK (3.10 EUR) entrance fee is charged. This is actually the only element of this world heritage that has something special. It apparently is a rare well-preserved garden from the 17th century, designed in the Italian garden style and still intact in its original baroque design. The eye-catcher is the 244-meter-long archway, with a statue in each niche and a bust on each arch. The garden itself consists of many straight paths that all end up at the central Rotunda. Furthermore, there are many creatively cut hedges. It must be a hell of a job to keep this maintained, but it looks neat. There’s also a ‘Dutch garden’ – I had never heard of the specific type (gardening is not really a subject of interest to me), but it is a small rectangular garden space with flowers planted in it! This is the 8th review of the Gardens and Castle of Kromeriz on this website in over 12 years and I can not think of any new angle of approach in describing its values or visiting experience. Everything that can be told about it has already been written down. The nomination file goes into great detail about the castle’s art collection, library, numismatic collection – most of it moveable objects which shouldn’t be rewarded in a WHS. This should be about the garden(s), but I’d rather recommend the originals in Italy. After Lednice and Valtice, the second World Heritage Site royal castle of Czechia I visited was Kromeriz, ironically this castle also owned by Liechtenstein family similar to Lednice and Valtice. 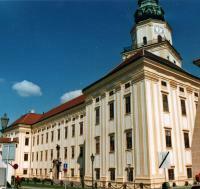 The castle was located in the city center of Kromeriz which in my opinion a prosperous looking town. At first I expected a typical design of royal palace with grand entrance next to city main square, but to my surprised, from the city square I could only saw the small portion of the palace complex, well at least its tower was quite striking almost similar to church tower. The palace’s exterior was a tiny poor version of Schonbrunn with similar Habsburg yellow Baroque, while there was no grand entrance or front garden courtyard. As I had no intention to see another baroque palace interior which I heard very similar to Schonbrunn, I directly walked to its rear garden. The garden was nice pure English garden without anything worth to remember especially after saw a better one in Lednice yesterday. Then I drove to another part of this World Heritage Site, the Flower Garden called Kvetna zahrada or Pleasure Garden, which located just outside the town center. In my opinion this was the true highlight of this UNESCO site. Behind the wall was the large complex of French styled garden together with many smaller gardens. At first I went to see small greenhouse which seem to be designed for tourist’s souvenir photo. Then I saw what is called Dutch Garden, some kind of stylish vegetable farm, which I don’t know why it has been called like that. The center of the whole complex was the big rotunda which was quite nice, but the real gem of the garden, at least in my opinion is the Italian styled loggia. The loggia was lovely with many sculptures and on the rooftop provide a great view of at least half of the whole garden showing intricate design of manicured and planned French garden, which quite impressive and could rival great gardens in France or Italy. There were two mazes which was fun to be inside. Unfortunately, half of the garden was empty with just large abandoned lawn behind the hedges. In my opinion this beautiful Flower Garden alone can be inscribed as World Heritage Site as the best French – Italian gardens in Eastern Europe, to my surprised that this garden was located in unknown corner of Moravia, well it was not too far from Vienna actually. Again this was not a must see or great World Heritage Site, but a really fine garden to see. 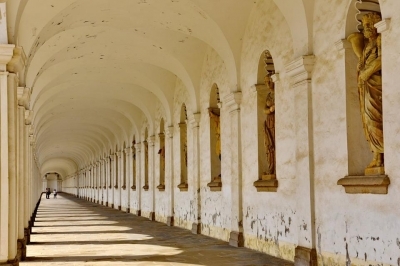 Kromeriz is one item on the long list of palaces and gardens among the WH sites. The Palace Garden is designed in the style of an English landscape garden and we enjoyed to walk around. There are ponds and a few small buildings, but most of them are in need of restoration. We skipped a guided tour of the castle, instead we visited the Pleasure Garden. The most striking buildings are the Rotunda and the long Colonnade. 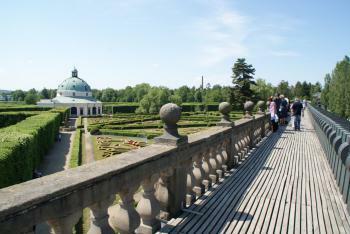 A staircase leads to the roof of the colonnade, from there you can beautifully admire the flower beds (photo). The main reason for inscription of Kromeriz is that "the gardens and castle of Kromeriz are an exceptionally complete and well-preserved example of a European Baroque princely residence and its gardens." I'm not an expert in park and garden design, I just enjoy strolling there, thus maybe I can not fully appreciate the quality of this WHS. But I've seen nothing that I've not seen in other palaces and gardens before, and often more beautiful elsewhere. The market place is truly nice, but that's nothing special in a country full of beautiful town squares (I liked better those in Telc, Olomouc or Cheb). All in all, one of the less rewarding WHS on our trip to Moravia. Kromeriz is a very pretty and quiet town close to Olomouc, and is very well worth the trip to get there. I skipped the tour of the palace interior (minimum 90 minutes), but just walked through the gardens, which consist of the more nature-like Palace Gardens (lots of ponds) and the formal Flower Garden. This is one of the most famous gardens in Europe, somewhere between a French Renaissance and an Italian Baroque garden. The town itself has a nice main square and a few pretty churches. I have been many times in Kroměříž, situated on a former ford on the river Morava, near the Chřiby mountains, to visit the huge Baroque castle, constructed in the 17th century for the archbishop of Olomouc Karl II von Liechtenstein-Kastelcorn on the place of an another castle and projected by Filibero Lucchese e Giovan Pietro Tencalla; it was reconstructed under Maximilian Hamilton in the 17th century, after a fire. It is a free-standing structure with four wings around a trapezoidal central court with three storeys and one attic half-storey. The ground floor is on a platform that compensates the uneven ground, originally surrounded by a moat, filled in 1832. The main facade has eleven window axes, optically prolonged by pilasters, doubled at the buttress corners, with cornice capitals. They are linked by sunken rectangular panels and this decoration is on all the facades. The other fronts have fourteen, thirteen and ten axes. The medieval tower has a drum with a spire. The Conference Hall was for two years the seat of the Austrian parlament and contains 22 venetian chandeliers, gilt allegorical stucco, paintings by Joseph Anton Adolph von Freenthal and a portrait of the arcibishop Kohn by Lászlo Folop. The Vassal Hall was the chapter tribunal and contains the archiepiscopal throne, the court stalls, coverings in false marmor, a neapolitan portrait of the cardinal Schrattenbach and a fresco on the ceiling, masterpiece of Franz Anton Maulpertsch. In the Hunting Room are 41 trophies, catched by the zar Alexander III in a hunting, and paintings. The Rococo Pink Room has venetian mirrors and paintings. In the Archibishop's Room is a beautiful intarsied Renaissance bed from Veneto, bought by the archibishop Korn, and paintings. The Zar's Room was the room of Alexander III during his visits and contains his portrait and that of the emperor Francis Joseph and his wife Elisabeth painted by Anton Eisle, a venetian table made of malachite with a wooden intarsio and a Florentin Gothic altar. In the Council Room are portraits of the archibishops of Olomouc, in the Throne Hall paintings by Orazio Gentileschi, Filippo Abbiati and Joseph Heintz, in the Large and Small Dining Rooms, decorated by von Freenthal, paintings by Karl Spitzweg, van Minderhout and Jan Čermák. The chapel has Rococo furniture, an altar in gilded wood, marmors and frescos by Joseph Stern, that made also the frescos in the library, that contains viennese furniture and 33000 manuscripts, incunabula, books and prints. The castle is linked to the garden through ground-floor rooms with grottoes, one of them reproducing a mine. The garden has many exotic coniferous and decidous species of tree arranged singly or in groups, some ponds and buildings: the semi-circular Pompeian Colonnade built in classical style to house sculptures from Pompei, the Max's Farmstead in French Empire style with a colonnade and projecting wings, the Baroque terraced Secret Garden, with the Colloredo Colonnade, with an arcaded corridor and a starcaise, the Chinese Pavilion, the Temple of the Friendship and the bridges Little Silver, Vase and Little Lantern, made of the iron from the town foundry. The Pleasure Garden in Italian style, constructed under von Liechtenstein-Kastelcorn by Lucchese and restored in the 20th century, has in its first section a 244 m long arcaded classical gallery with many statues and busts, fountains and the octagonal rotunda as the central element, with a ground floor gallery, articulated entrances, four grottoes with fountains, decorations with mithological scenes and a cilindrical drum surmonted by a dome and a lantern tower. Around it are simmetrically arranged beautiful plots with mazes and flower gardens, defined by low espalier hedges. The main elements of the second section are two low mounds with arbours and two rectangular ponds, laid out simmetrically on the main axis of the garden. There are also the aviary, built on a small island in a pond, and the greenhouses. I liked very much the castle and the gardens, the most beautiful in Czech Republic, because of their beauty and decorations. It's worth to be visited if you are in Moravia (if you go there you can visit the castle only with guided tours) and justifies the inscription. An hour's train ride south of Olomouc is the small Czech town with the unpronounceable name Kromeriz. The locals will probably laugh behind your back if you try an English pronunciation but the correct way of saying the towns name is something I leave you to discover for yourself when you approach the small town that was once the Achbishops own town and Chateau, between the 12th and the 19th century. One of the Chateau's more recent claims to fame is the fact that it figured in Milos Formans film Amadeus and it is no wonder that it some of its rooms and halls was picked as background. Some are absolutely the best of best of baroque architecture and design. Next to the park is the beautiful Podzámecka Garden that unfortunately was quite a wet experience at the time of my own visit. But as the rain passed by and I had moved across town to discover the castles Flower Garden, I was blessed with the sunny side of Kromeriz parks and castle. Kromeriz is easily accessed by train if you are in Olomouc and is a perfect excursion for a day. The Palace and Gardens are a reasonably interesting half day trip from Olomouc. The Palace is just off of the main square and there are regular tours. The interior is pretty a standard European palace, though the library was nice. I spent an inordinate amount of time looking at the two impressive Coronelli globes, which were the highlight for me. If you would like a preview of what to expect from the interior this palace was used extensively for the interior scenes of the film Amadeus. There is an English garden behind the palace which was reasonably nice. A little further out, about a 10 minute walk, are the more formal flower gardens. These were a little more interesting and the Rotunda and colonnade were nice accompaniments to the flower beds. The train station is a little way from the centre but it is a fairly simple walk to the the attractions. Overall I wouldn't recommend travelling a long way to see this site, however if you have a half day spare whilst in the area it is a fairly worthwhile trip, but if your time in Moravia is limited I would recommend spending more time wandering aimlessly in the parks and cobbled streets of Olomouc.